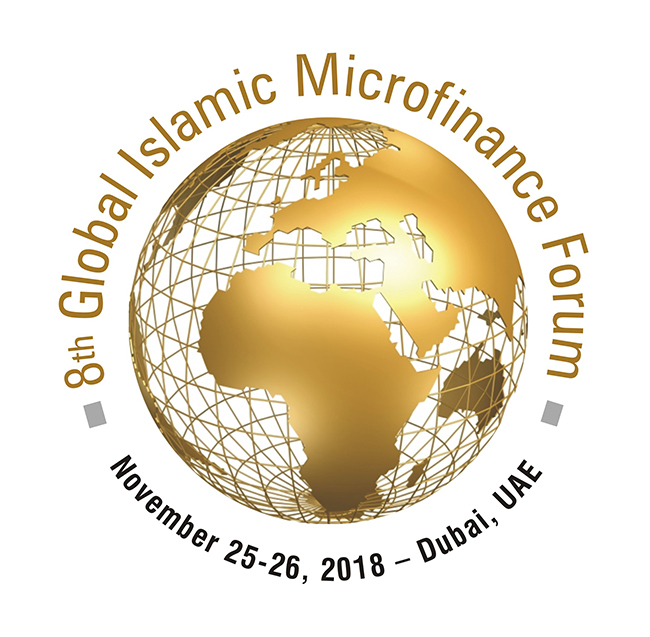 (September 05, 2018 (Dubai)): 8th Global Islamic Microfinance Forum (GIMF) will convene in Dubai – U.A.E on 25th - 26th November, 2018 under the theme of “Financial Inclusion, FinTech, Outreach Strategies & Innovations” to explore and discuss innovative financial inclusion strategies that can create clear pathways to poverty alleviation. This Apex event is organized by AlHuda CIBE in Association with Akhuwat and Sponsored by Islamic Corporation for the Development of the Private Sector- ICD. ICD is one of the premier Islamic multilateral financial institution for the development of the private sector. More than 30 countries will be participating in this prestigious event and around 25 international speakers will be addressing in the event. Majority of the speaker are industry leaders and experts. AlHuda is striving for poverty alleviation through Islamic microfinance by providing advisory, consultancy, research and capacity building services and organized 7 annual events in different countries of the world. This event helps the industry practitioners to join the common platform and strengthen the networking for industry development in true and innovative ways. Mr. Muhammad Zubair, the Chief Executive Officer of AlHuda CIBE said the 8th GIMF will explore how new and effective strategies (according to Shariah compliant procedures) be formulated to alleviate poverty and for economic sustainability. While narrating the theme and core purpose of 8th GIMF, Mr. Muhammad Zubair echoed his thoughts, saying that poverty is considered one of the common global issues, but most alarming situation is that major chunk of poverty exist in Muslim countries, as it is considered as number one agenda of “financial inclusion” and Evidence of Impact that how positively affecting the lives of poor people. According to most recent estimates, 46% of the poor population resides in Muslim countries, where poverty trends are alarming. The prime reason of this staggering situation is the general avoidance from” RIBA” which is strictly prohibited in Islam. 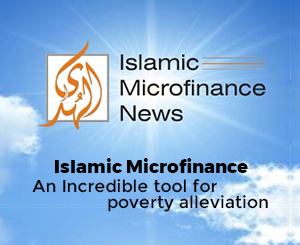 In order to reduce poverty in Muslim populous countries, a proper platform is needed to execute, valuing their cultural and social values, which is possible only through Islamic Microfinance. The purpose of this forum is to gather the stakeholders under one platform, to find out the remedy to these problems to give a strong support to rapidly increasing Islamic Microfinance industry. A gathering of 200+ Participants are expected from almost 35 different countries to participate in the forum, wherein a large variety of topics will be covered including; Islamic Microfinance, Financial Inclusion, Evidence of Impact, Rural development, Use of IT in Microfinance, Micro-Takaful, Rural credit, Small business problems and solutions, Shariah Principles and General Economic Development. Dr. Amjad Saqib, the Executive Director, Akhuwat also highlighted the objective of this forum, by articulating that the primary objective of this 8th GIMF, is to assist poor by developing a welfare society exploring the best techniques from different modes of poverty alleviation practiced globally. He presented the Akhuwat Model as a successful case and declared that Akhuwat has so far distributed almost Rs. 63,212,461,837 among more than 2,039,681 families with 99.93% recovery rate, through “Qarz-e-Hassan” which in itself is a true model of Islamic Welfare oriented Microfinance system. Moreover, Akhawat is going to pilot Mudarbah based product to launch it on mass level for poverty alleviation. The Forum will be followed by Two Days “Post Event Workshop on Islamic Microfinance- Operations, Practices, & Outreach” dated for November 27 - 28, 2018. This Workshop will cover a variety of allied topics. To learn more about please visit: www.alhudacibe.com/gimf2018/ .